Truly Pure & Natural Raw Honey Bear - 20 oz. Home > Raw Honey > Glass Raw Honey Bear - 20 oz. 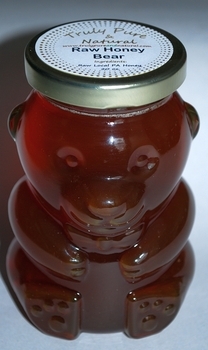 Raw Filtered Honey Bear in Glass - 20 oz. Glass Raw Honey Bear - 20 oz. 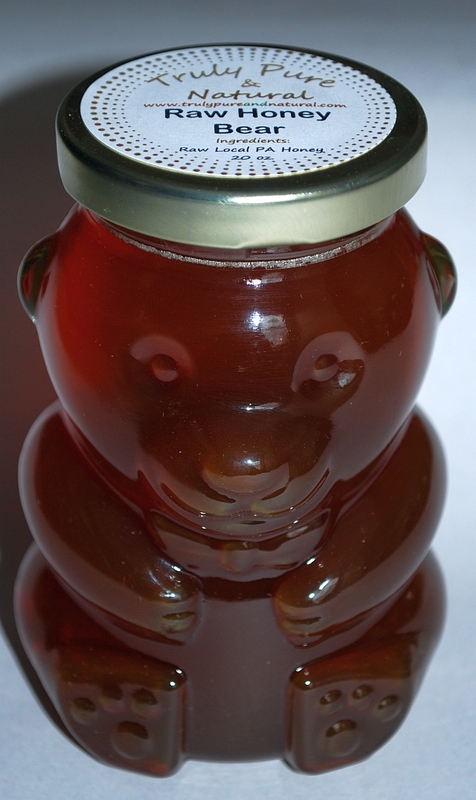 Made with local raw Pennsylvania Honey; this honey bear has a touch of class because it is made of glass. The large opening makes it easy to spoon or pour out. 20 oz. Raw Filtered Glass Bear with gold lid.